In a previous post I said that Kim and I moved to Traverse City so we could see and photograph Snowy Owls. This is not entirely true. 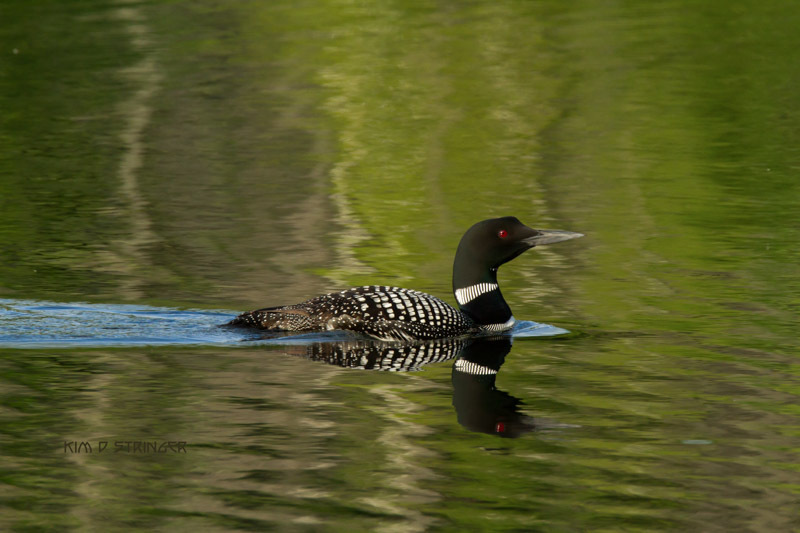 We also wanted to see and photograph Common Loons. Several times a week Kim drags me out of bed to head for Cedar Lake and our loons. 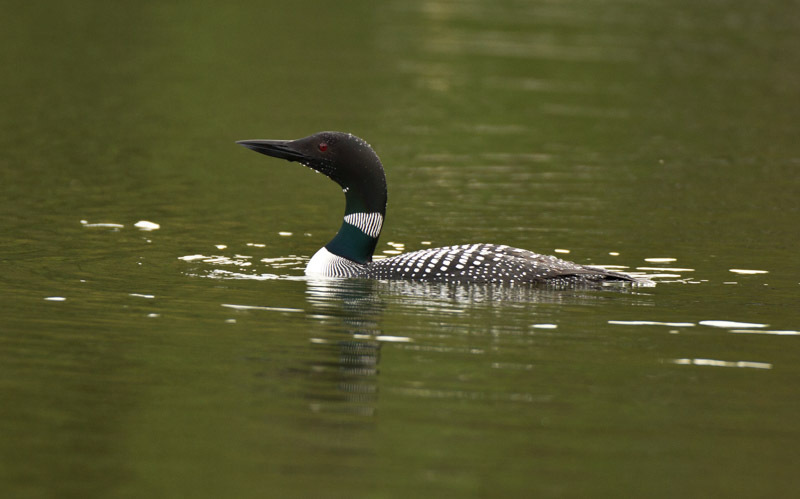 What is it about loons? Let’s start with their haunting call. I won’t try to describe it, but you must have a computer if you are reading this, so you can google it. (The expression Kim and I use is JFGI, which stands for “Just google it.”) I’m not sure what the loons are saying to one another – probably it’s a lot like a lot of cell phone conversations: “I’m here – where are you?” But like a lot of human conversations, what’s important is not what you say but how you say it. 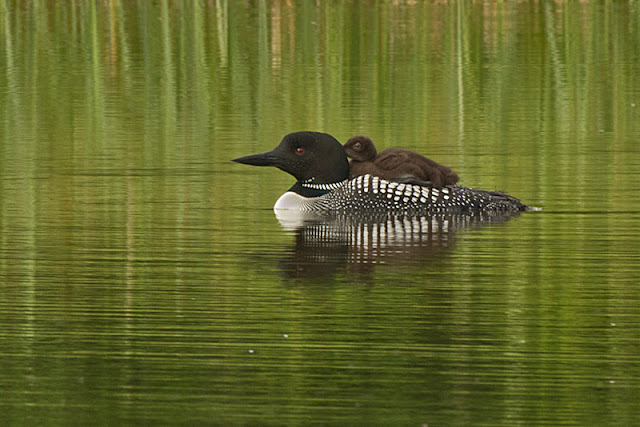 And loons say it with a haunting unearthly quality. My iBird app describes it this way: “a loud, wailing laugh, also a mournful yodeled ‘oo-AH-ho.’” How can you not love a wailing laugh? How can you not be moved by a mournful yodel? But these are just words. I’ll pause here to give you time to find the loon call and give a listen. See what I mean? 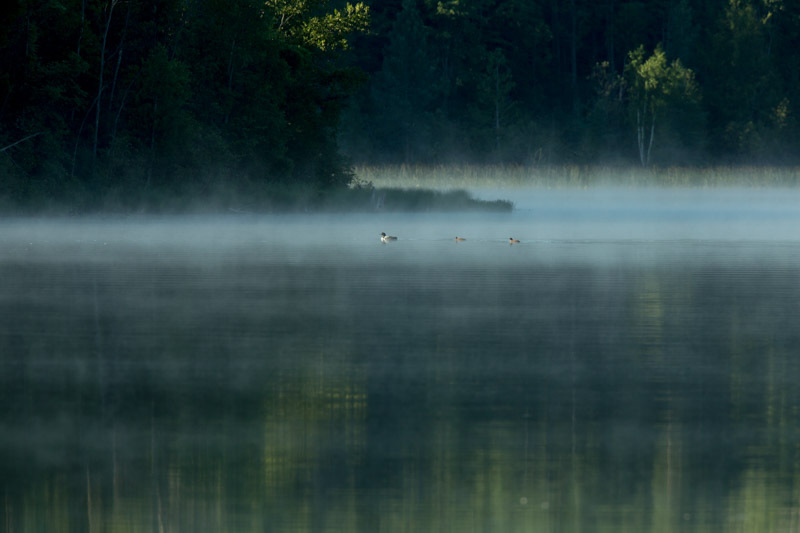 And it’s even better when heard over the water of a lake, especially at night or early in the morning. They are not fully of this world. They are the Other. And loons, as the photos show, have a really cool graphic design with the patterns of black and white, the neck ring, the long razor-sharp beak, and the unreal red eye. I’m not sure why evolution steered the design in this direction, but I’m grateful. Someone is doing quality work. – but I prefer to think of them flying through air (at more than 70 m.p.h.) or shooting through the water. What else? When loon chicks are born, the mama birds sometimes carry them on their backs as they swim, and sometimes under their wings. Cute, right? Feeding time, before they learn to fish. 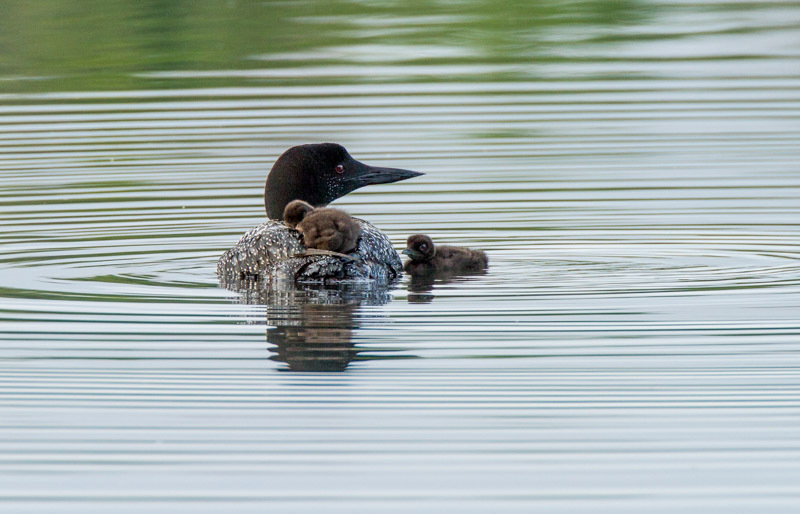 Loons are not just cute or haunting or efficient. Sometimes they screw up the same way we do. They need a long runway to take off – from 30 yards up to a quarter mile. Sometimes they get stranded on small ponds or wet highways or parking lots where they mistakenly land when migrating. I have made similar mistakes when driving. Kim photographed this one stuck in a hospital retention pond in Gainesville. The few we saw in Florida showed these adult non-breeding (winter) colors. 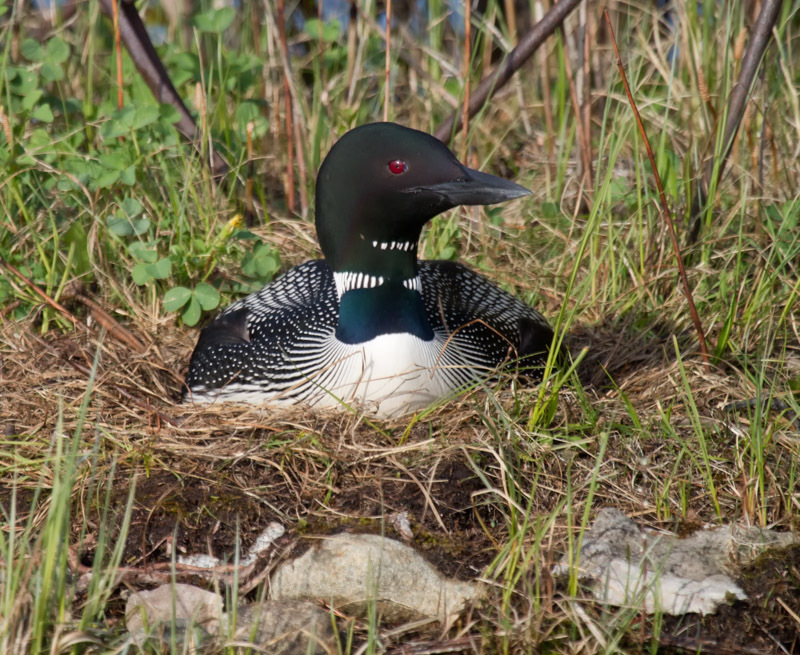 Same loon as above, perhaps amusing himself while awaiting rescue. Do loons mate for life? Nope. They have “multiple partners.” I remember seeing in a movie a woman’s complaining to her father about her husband’s infidelity. His response: “If you want fidelity, marry a swan.” Not a loon. But loon partners do hang together, co-parenting until the chicks are on their own. 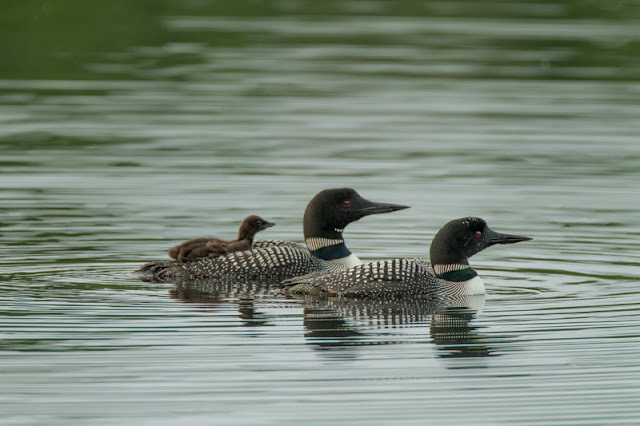 Kim and I are volunteering to take part in a project to monitor and photograph Common Loons in the Torch Lake area. Their population is threatened by botulism – a result, most likely, of human intervention in the Great Lakes when we introduced invasive species to disrupt nature’s delicate balance. We messed it up, so we should work to fix it. 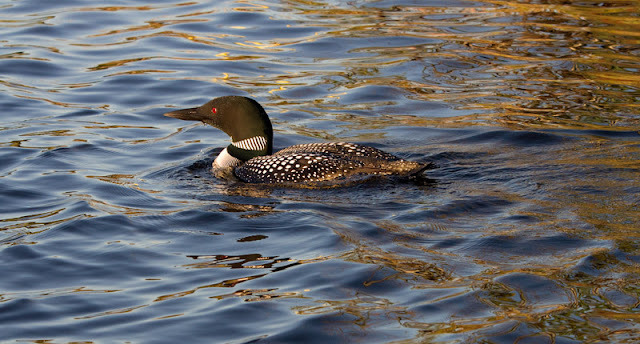 Loons, like Snowy Owls and northern lights, are emblematic of the North, and all are part of the non-human Other. 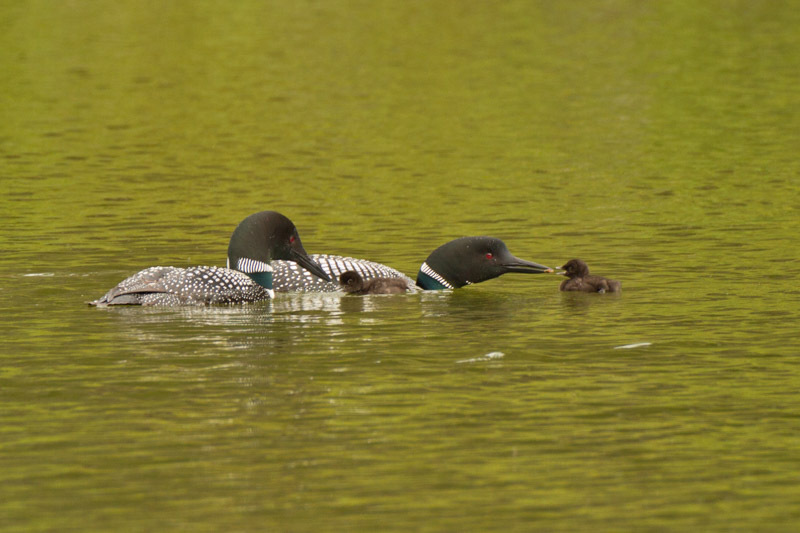 I had two memorable experiences with loons. The first was in Monterrey Bay, 1967 approximately. 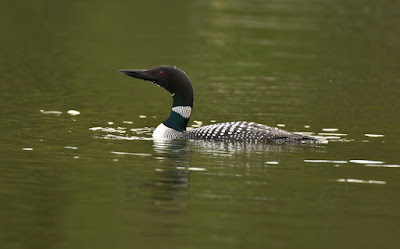 I was on a long dock, which gave an amazing view of a loon (am I right? 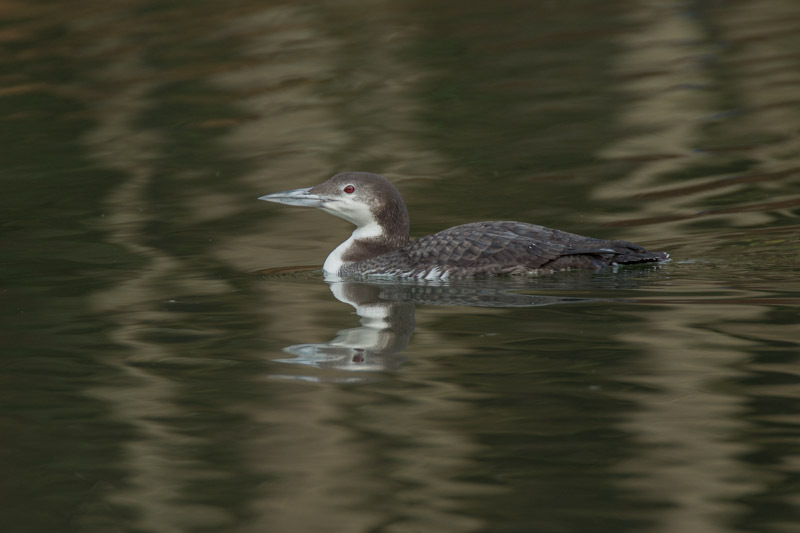 Are loons found in California?) flying underwater just a foot behind a 10" fish. The fish was flying full speed, making sudden right angle turns. 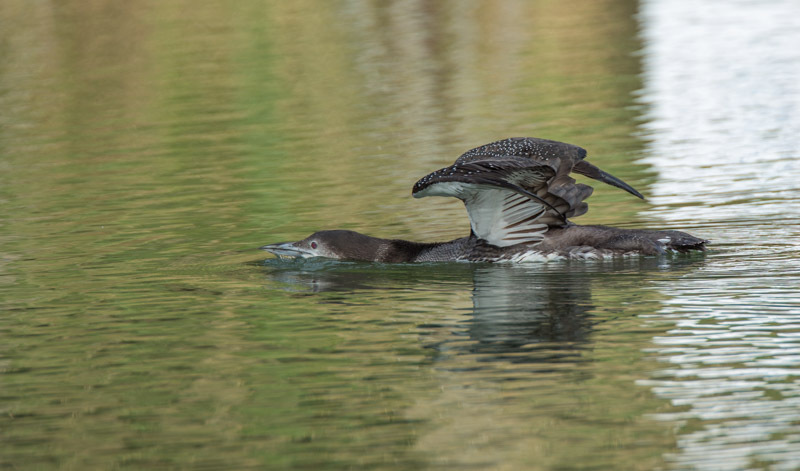 The loon was doing exactly the same flying maneuvers, which seemed almost impossible. The second was more amazing. My brother owns a beautiful property on Sand Pond in NH, inaccessible by road, and built a nice house there on a granite cliff overlooking the pond. The pond is about 1 mile across, and has one small island, owned by the state of NH. I had canoed to it (just a short distance from my brother's house) with two of my kids, maybe aged 6 and 9. We were walking in the rocky shallows near where our canoe was perched, planning to get back in. Suddenly 5 or 6 loons flew around the island into view, and landed 30 feet from us. They looked at us briefly and somehow decided to ignore us. They formed a circle in the water, flapping wings, rising up vertically, their feet still in the water, and sang loudly some crazy chorus. This lasted maybe 30 seconds. Then they paddled away back around the island. I told this story to Joe Alcock. Joe was our classmate, but took a year off to live in Patagonia (his parents were in Argentina that year) so Joe graduated in 1965. He is a wildlife biologist. 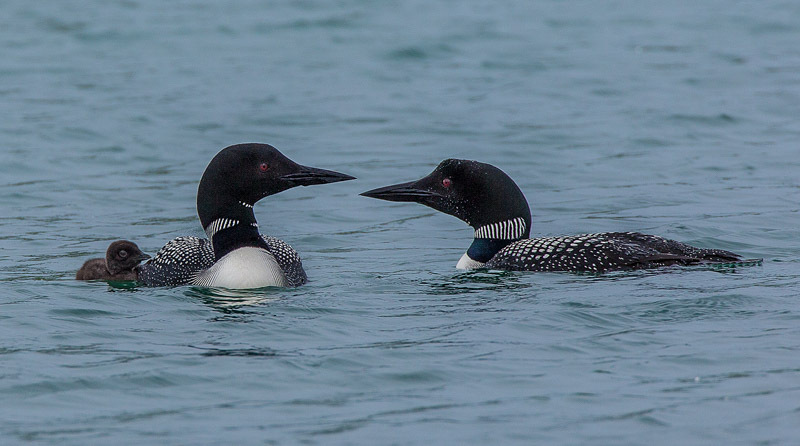 He said he had heard that loons do this collective dance sometimes.